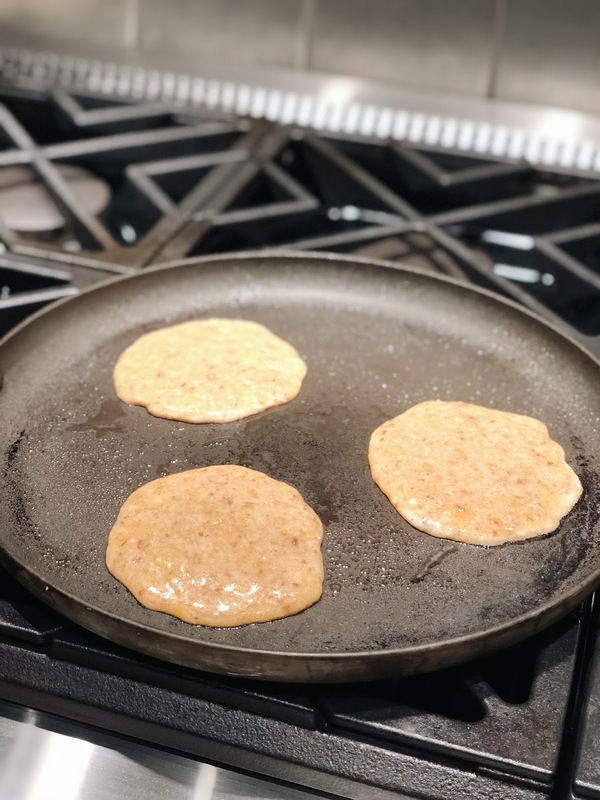 The reason I say this is a non-pancake is because it doesn’t actually taste like a pancake but because it is the shape of a pancake and it’s flipped on a griddle… it’s a pancake. I am a huge sugar lover, like most of us are and I love having something sweet for breakfast and I love making breakfast. 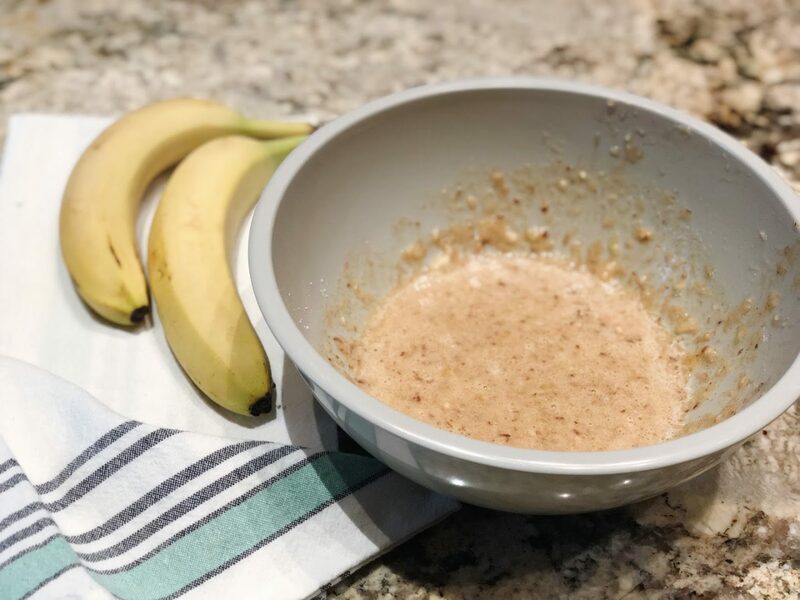 Pancakes, french toast or waffles aren’t really a healthy way to start your day (except on the occasional weekend) so I looked around my kitchen and make up my own healthy pancake. My first go at making a healthy pancake was 1 egg (scrambled) and 1 ripe banana (mashed). Stir it very well, and pour 1/4 cup onto a greased (in my case a coconut oil sprayed) pan. It was runny and lumpy and not your beautifully shaped fluffy pancake. 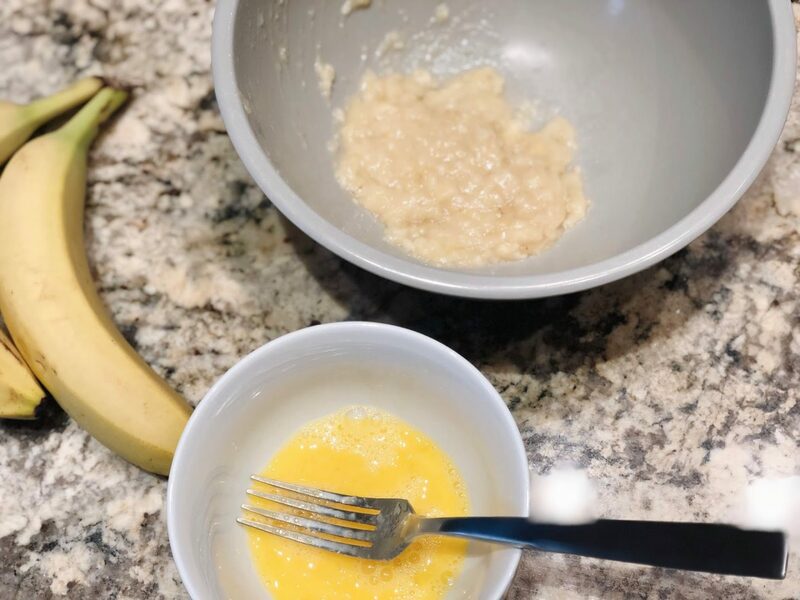 It did flip and turned out just fine and it tasted like the ingredients… banana scrambled eggs. Add a little butter and syrup to the stack and it tasted more like your traditional pancakes, only slightly more dense and egg-like. My son had a few bites but even he wasn’t the biggest fan. For the next attempt I added a dash of cinnamon, which is one of the healthiest spices. The recipe needed some substance, a powder of some sort so I decided to add a scoop of vanilla protein powder as well. One of the keys to the perfect pancake, fake or real, is to cook it low and slow. 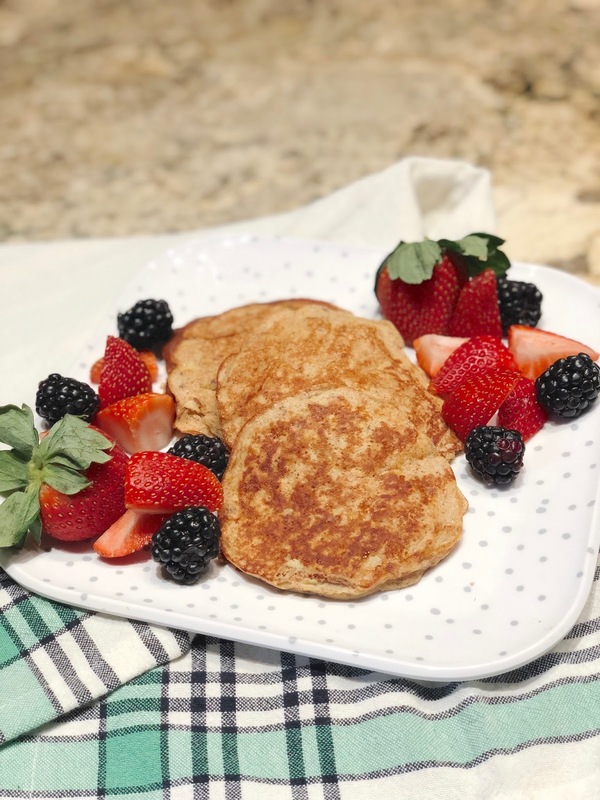 Food in general seems to be so much better when cooked at a low temperature for a longer period of time.These pancakes have 290 calories in them. Pretty nice to get a fulfilling and tasty breakfast for under 300 calories! 1. Turn your burner to medium-medium low. 2. Spray with coconut oil or any spray of your choice. 3. In a medium bowl mash banana with a fork. 4. Scramble egg in a small bowl. 6. 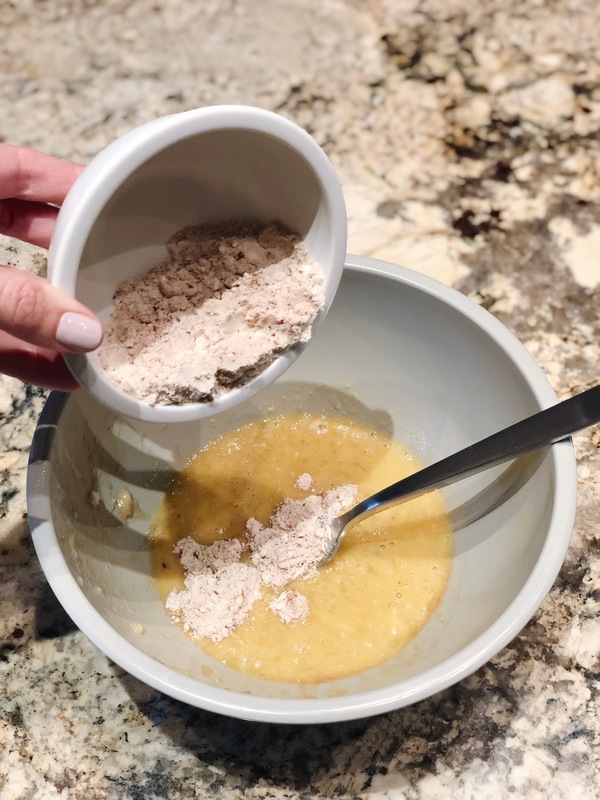 Combine dry ingredients and add to wet mixture. 8. Pour a little less than a 1/4 cup of batter on to heated skillet. 9. Brown on both sides and serve hot. You can add butter and maple syrup, fruit or Nutella as toppings.Makes 4 pancakes. Target has new spring things out! I love refreshing my hand towels and I was in need of new lightweight plates! I also love this skillet. I use this particular skillet anytime I need to cook something that I need to flip with a spatula, like grilled cheese, a quesadilla and, of course, pancakes and french toast. For Waffles: Add flaxseed meal. I always add at least 1 tbsp to my waffle batter. Flaxseed is high in Omega-3 and fiber which will help you stay fuller longer. 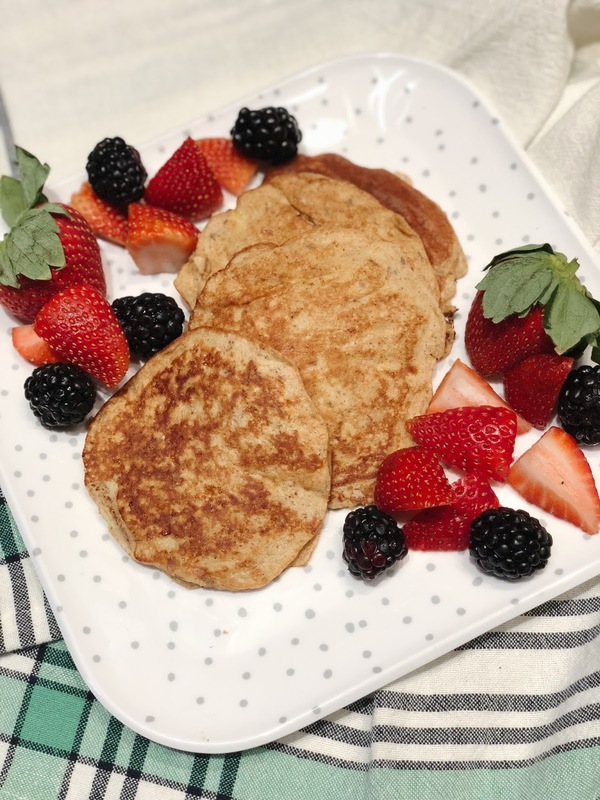 I follow the Bisquick (always the white box) waffle directions but to make my husband (major sweet tooth and high metabolism) and myself (regular metabolism and wants to be healthier) both happy I add 1 tsp of vanilla extract for him and the flaxseed meal for me. I honestly can’t taste the difference, flaxseed or no flaxseed. Of course, my husband says it ruins the taste but I’m pretty sure if he ate it with his eyes closed he would never know. Plus, a little altered taste for more health benefits is always worth it! For French Toast: Use whole grain bread. Yes french toast is delicious on challah bread or even white bread but that is going to get you no where. You will be hungry sooner than later. I’ve started using whole grain or 100% whole wheat breads that are high in fiber. I don’t buy the same bread every week so I can’t recommend a specific brand but buy your favorite high fiber bread and enjoy your french toast, you’ll be feeling fuller longer!